One of the Occupy Justice billboards being removed. A decision to remove a number of billboards on Friday night, including ones calling for justice in the Daphne Caruana Galizia case, has been described as tantamount to a regime using its power to trample on basic freedoms of those who criticise it. 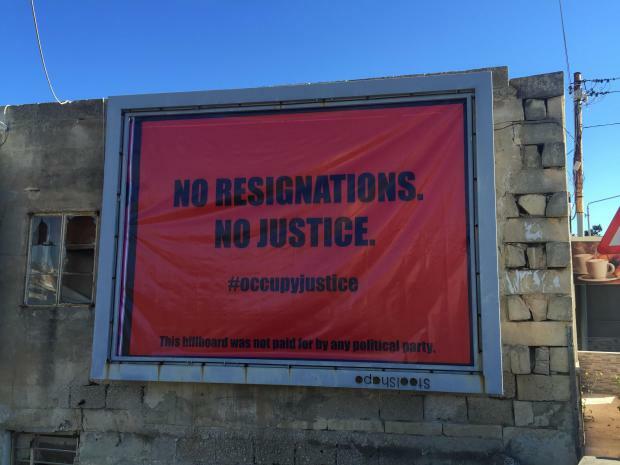 The government may have had every reason at law to enforce the removal of billboards but it has neglected those reasons every day before Friday night, Occupy Justice said in a statement. It decided to carry out the action because of the 'Ebbing, Missouri' style protest billboards went up that same morning. The banners put up by the #OccupyJustice read "A journalist killed. No Justice", "A country robbed. No Justice", and "No resignations. No Justice." One of the billboards erected at St Andrew's. The banners echo the Oscar-nominated film Three Billboards Outside Ebbing, Missouri, in which an anguished mother seeks justice for her murdered daughter. Occupy Justice said the authorities chose a Friday night to carry out its enforcement, causing traffic chaos and inconvenience, "to combine its vile act of suppression with our gathering in Valletta at the Daphne Caruana Galizia memorial". 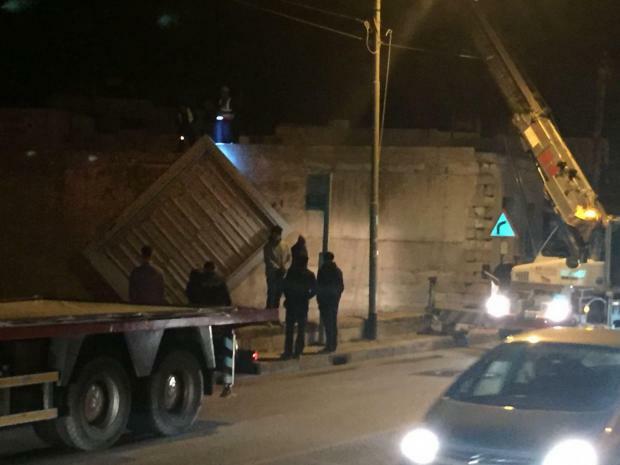 "Like the bombers who killed Daphne to warn off her sources, the government yesterday threw the book at the billboard contractor to warn off all businesses in Malta. The government's message is clear: providing any service to civil society will bring retribution of the full force of the government's power." The pressure group said the climate of fear that has gripped the nation is justified by the discriminate application of the law to serve the interests of the powerful. "The government's zeal in enforcing planning laws on removable billboards contrasts with their eagerness to drown our islands in cement and shadows. The government's zeal for enforcement of the law contrasts with the protection it gives to people who should evidently be investigated and perhaps indicted namely: Keith Schembri, Konrad Mizzi." On Friday, around the world, there were other protests inspired by the Ebbing, Missouri billboards. A London protest called for justice for victims of the Grenfell Tower disaster. Florida activists called for justice for victims of weak gun control.